The hedge fund’s property arm and EPR are paying a Florida REIT $830 mln for 15 ski resorts. The deal has plenty of twists and turns, like EPR giving Och-Ziff a mortgage to fund part of the transaction. Long-term leases, though, mean the new owners can do little but groom the slopes. 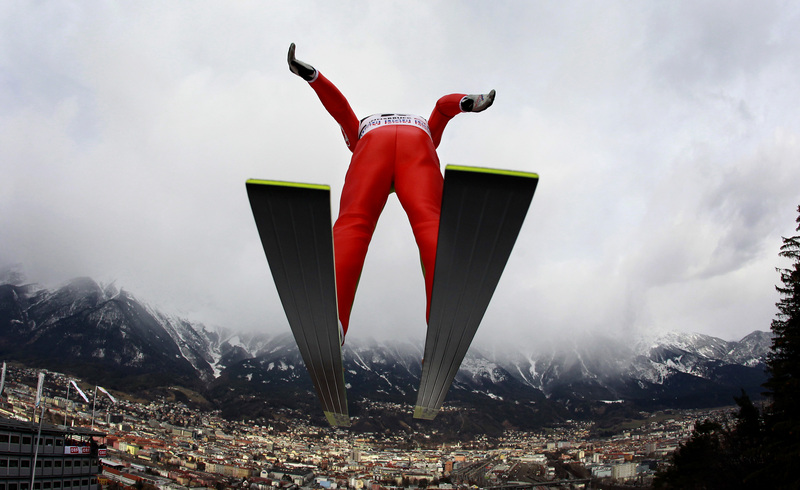 Russia's Dimitry Vassiliev soars through heavy snow clouds during the practice for the third event of the four-hills ski jumping tournament in Innsbruck January 2, 2010. EPR Properties and the property arm of hedge-fund manager Och-Ziff have agreed to buy 15 ski resorts from a Florida-based property investor for a total of $830 million in cash and shares, EPR said on Nov. 3. EPR, a Missouri-based real-estate investment trust, will pay $456 million for California's Northstar ski resort and a clutch of other recreational properties. It will also provide a $244 million five-year secured loan to Och-Ziff Real Estate, which will help fund the purchase of the remaining 14 ski properties, including Colorado's Crested Butte ski area and Sugarloaf in Maine, valued at around $374 million.